Great Elite Field for Faxon Law New Haven 20K! New Haven, CT: The 2017 Faxon Law New Haven Road Race, again hosting the USATF 20K Championships, boasts a number of the Country’s top runners. The event takes place on Labor Day, September 4 on the New Haven Green. 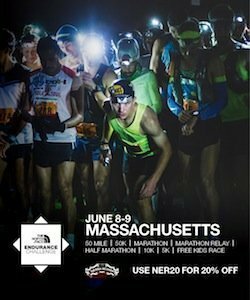 This year’s race features five past champions, four Olympians and a number of America’s top distance runners competing for a prize purse of nearly $40,000. The 20K has hosted the 20K National Championship since 1992. On the men’s side, 2016 20K Champion and U.S. Olympian, Leonard Korir (Colorado Springs) hopes to defend his title. Korir recently placed 13th in the 10,000 meters World Track Championships and won this year’s 10K and ½ Marathon Championships. Korir is expected to be challenged Sam Chelanga (Manitou Springs, CO), Abdi Abdirahman(Flagstaff, AZ), Christo Landry (Charlotte) and New Haven’s Tim Ritchie. Chelanga, runner-up in the Faxon Law New Haven 20K in 2015 and 2016, recently won the 7-mile National Championship in Davenport, IA. Abdirahman, 2000, 2005 & 2011 Faxon Law New Haven 20K champ and 4-time U.S. Olympian, finished 6th in this year’s Boston Marathon. Landry was 3rd in last year’s 20K and 2nd in 2014. New Haven’s Tim Ritchie was 5th in last year’s race and recently finished 4th in the 25K National Championship. Aliphine Tuliamuk, Emily Sisson and Jordan Hasay head a stellar women’s race field. Tuliamuk (Santa Fe, NM) is the returning Faxon Law 20K Champion and is the National Champion this year in Cross Country and the 25K. Sisson, last year’s Faxon Law New Haven 20K runner-up, recently represented the U.S. in the 10,000 in the World Championships. Hasay (Portland, OR) is coming off an impressive marathon debut at the Boston Marathon, placing 3rd overall and shattering the U.S. Marathon Debut Record by nearly 3 minutes. Past Faxon Law New Haven Road Race winners Janet Cherobon-Bawcom (Rome, GA) and Renee Baillie (Bend, OR) are also returning to New Haven. Cherobon-Bawcom was the 2011 20K Champion and competed in 2012 Olympics. Baille won the 2012 20K. Shalaya Kipp (Boulder, CO), 2012 U.S. Steeplechase Olympian the steeplechase, is also expected to finish near the top. The Ryan Shay Memorial Award will be awarded to the top male and female 20K finishers. Ryan Shay, 2004 New Haven 20K Champion, passed away while running the 2008 Olympic Marathon Trails in New York City. The award is in recognition of Ryan’s commitment and dedication to the sport, as well as his longtime support of the New Haven Road Race. In addition to his first place finish, Ryan competed in the event from 2004-2007. To learn more about the Faxon Law New Haven Road Race, visit www.newhavenroadrace.org. The New Haven Road Race would not be possible without the support of our major sponsors Faxon Law Group, Trailblazer, Town Fair Tire, McDermott Lexus, Anthem Blue Cross & Blue Shield, Connecticut Orthopaedic Specialists, TYCO and the City of New Haven.